﻿ IELTS Writing Self Pushing DAY1 - Learning English - WE Club - Powered by Discuz! Hello guys, my name is Angela. 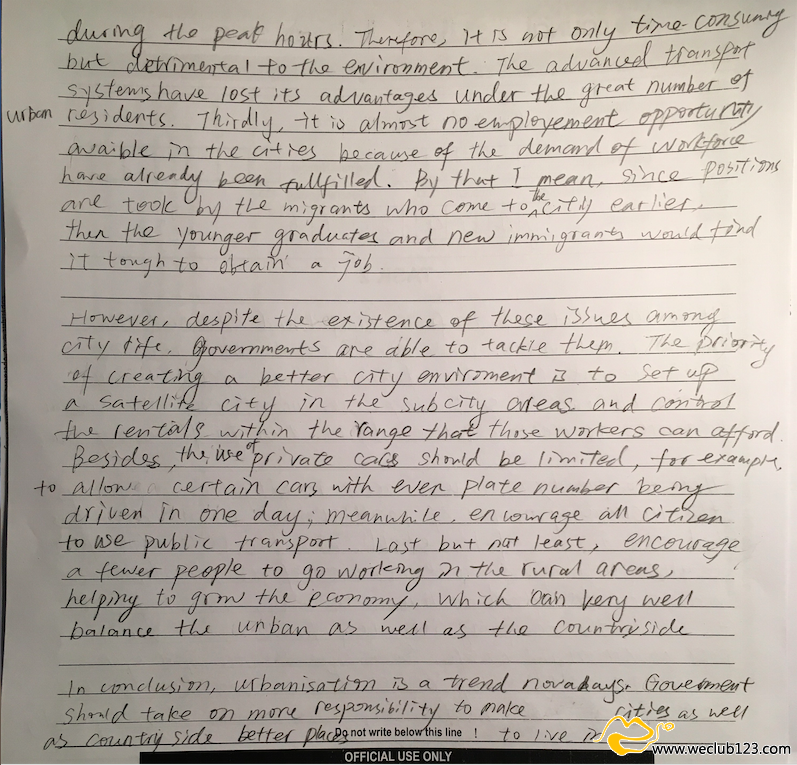 I am here to post my IELTS writng that I practice in my spare time. My aim is to reach band 7 in writing, so I hope in this way I can keep pushing myself to practice. I believe practice makes perfect. More and more people aremigrating to cities in search of a better life, but city life can be extremelydifficult. 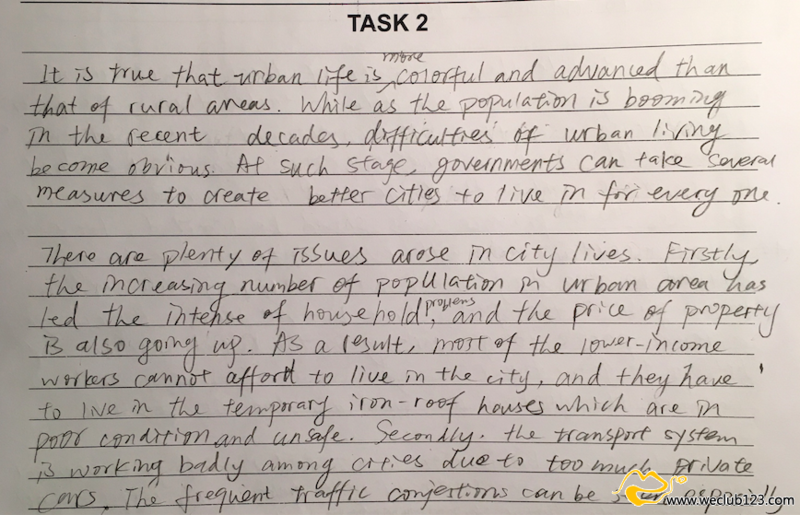 Explain some of the difficulties of living in a city. How cangovernments make urban life better for everyone? If you think this is a great way to improve writing, please join me! Also, if you have any advice about my essay, please let me know, I would be really appreciate it. GMT+10, 2019-4-19 14:17 , Processed in 0.518022 second(s), 26 queries .